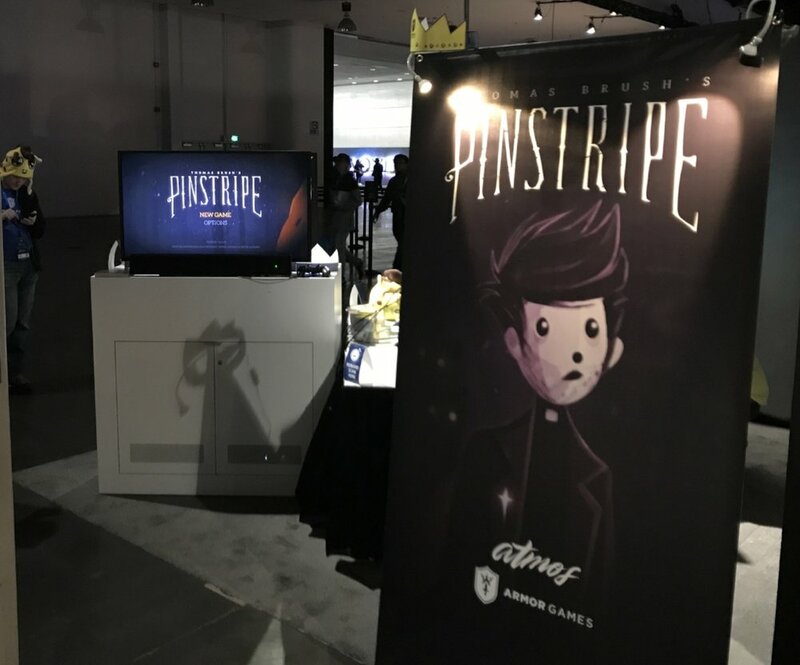 We've been at PSX 2017 this weekend in Anaheim, California to support the first 2 titles to be ported by DO to all major consoles; The Adventure Pals and Pinstripe. Both published by Armor Games Studios. The Adventure Pals by Massive Monster, to be released spring 2018 is a quirky side-scrolling platformer with local co-op play, giraffes and a hot-dog obsessed villian. This title uses our Haxe/OpenFL to Unity re-targeting technology - which provides a great way to super-charge a game you already have in development. Massive Monster were able to take the existing code, run it in Unity with no changes and continue to update it in Haxe, while DO focused on the porting to Playstation 4, Xbox One and Nintendo Switch via Unity. Our system keeps all graphic elements as true GameObjects in the scene graph. Because of this, Jay and the team at Massive Monster were able to add in selection of great Unity based shaders and effects to create a really polished visual style. There will be a tech post on this blog soon going in depth on how this all works, what the challenges were and how they were addressed. Pinstripe by Atmosgames, to be released Q1 2018 is a critically acclaimed, atmospheric adventure game with a breathtaking audio/visual style. This was already a Unity title released on Steam when we got involved. We took the existing game code and handled the porting to Playstation 4 and Xbox One. Both games are published by Armor Games Studios which is the new, multi-platform arm of the well established Flash games site we all know and love. Huge thanks to Jay from Massive Monster who was crazy enough to believe Matt when we said an existing OpenFL game could be ported to console via Unity with no code changes. Without this and Jay's subsequent introduction to Thomas and Armor, none of this would have been possible. Secondly, to Thomas Brush for trusting us to handle a game he's poured 5 years into and for being a generally great person to work with. Finally to the Ryan, Justin, Sean, Dan and the whole Armor Games team for inviting Matt out to PSX and for all their support though the process. It's been a blast and we are looking forward to seeing both these titles in store and more to come. If you are and indie dev with a title you'd like our help on please get in touch!